I’m no runner. I mean, I run, but I’m not a runner if that makes sense. I do run, though, and every year I try to challenge myself a little more. On this year’s challenge list? 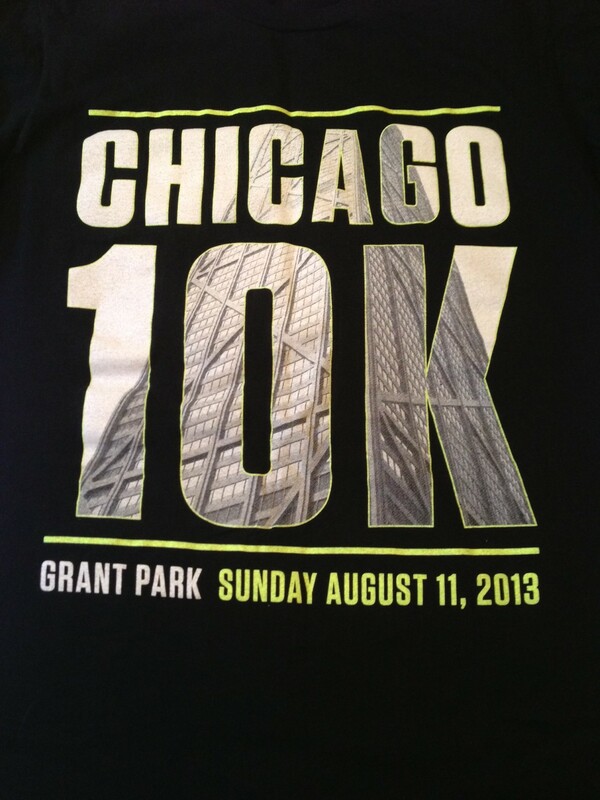 My very first 10k! It felt entirely too early when my alarm went off on Sunday morning, but I got up and changed into my brightly colored running clothes. A bottle of water and a half a cup of coffee later, I heard my sister-in-law Becky letting herself in my house. I’m pretty sure we at least grunted hello at each other before heading for the el. Here’s the thing about the el on a Sunday morning: it’s slllooowww. We waited 15 minutes on a train to pick us up. I definitely had not accounted for that. I strolled up to the start line at 8:05. The race started at 8. Luckily, I’m not a fast runner and made my way into a slower pace group just minutes before they crossed the start. And then, we were off! Running! Breeze in my freshly cut hair. And then, the sun, oh the sun, began to beat down on the course. Runners everywhere were stopping to walk, pouring water over their heads, stretching on the sidelines. But I kept on, forcing myself to put one foot in front of the other. Just keep moving, I told myself. Keep running. Don’t stop. You can do this. You got this. I moved back and forth between giving myself a pep talk and praying desperately for 6.2 miles. And I’m happy to say, I made it! 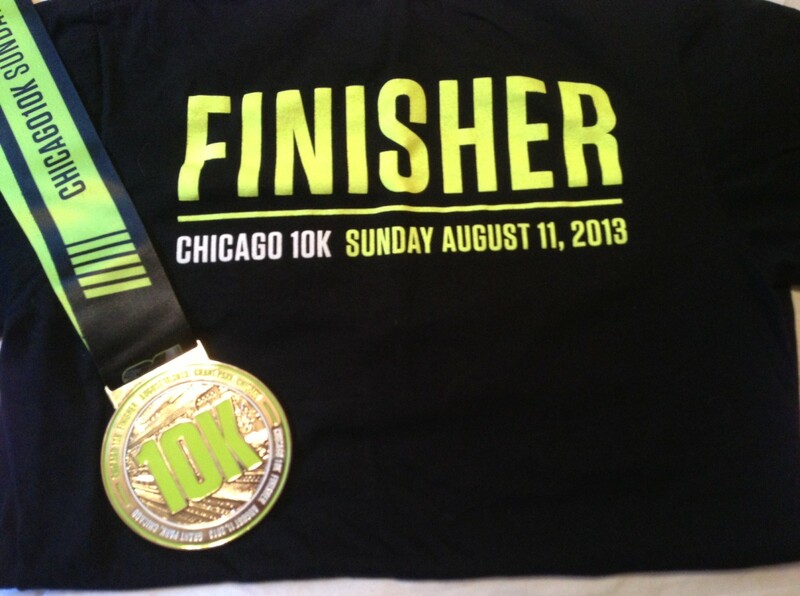 I even sprinted across the finish line, and with a 1:11:34 time, I’d call it a success – a slow win. I’m glad I pushed myself to run this race, and I’m glad I was able to finish. And who knows? Maybe I’ll even run another one. Anybody with me? 17 Aug	This entry was published on August 17, 2013 at 1:02 pm. 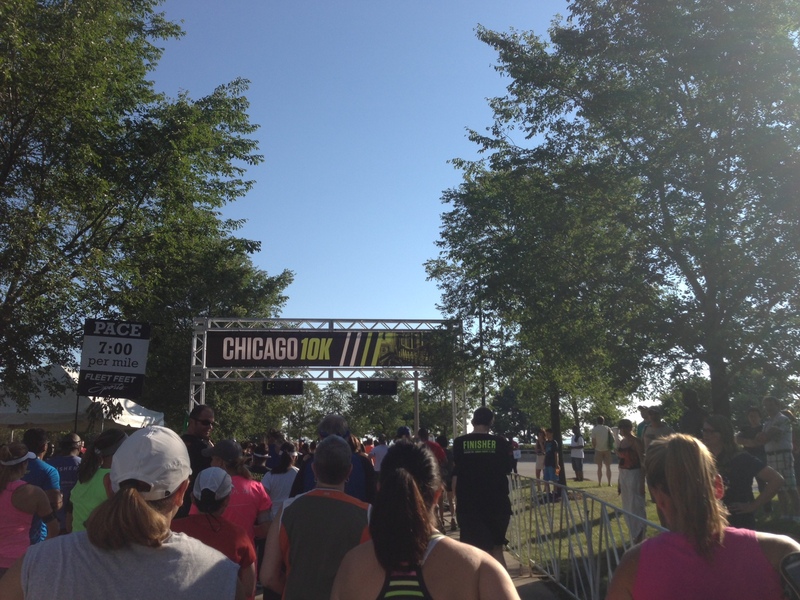 It’s filed under Smart and Savvy...Fitness and tagged chicago 10k, chicago races, chicago running, runners, running, running goals. Bookmark the permalink. Follow any comments here with the RSS feed for this post. Way to go heather !!!!!!!!!!!!!!!! How did the sister-in-law do? Did you run together or did you leave her in your dust ? I’m not sure! I think I’d like to do another 10k before the end of the year. Do you know of any good ones coming up? And, I’d love to run with you sometime! Proud you made it. You are not a give up kind of girl. So proud of you. You are a not give up kind of girl.